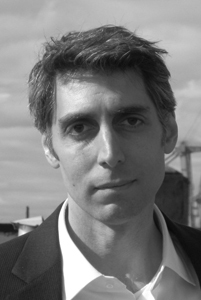 Alex Shakar’s latest novel, Luminarium, won the 2011 Los Angeles Times Book Prize in Fiction. It was also named an Editor’s Choice by The New York Times, a Notable Book by The Washington Post, and a best book of the year by Publishers Weekly, Booklist, The Austin Chronicle, and The Kansas City Star. His first novel, The Savage Girl, was named a New York Times Notable Book and has been widely translated. His story collection, City In Love, won the FC2 National Fiction Competition. A native of Brooklyn, NY, he now lives in Chicago, and is an Associate Professor of Creative Writing/English teaching fiction at the University of Illinois at Urbana-Champaign.